KoopaTV: Could Smash 4's Newcomers Be Terrible? By RAWKHAWK2010 - Sorry to keep you waiting! I'm looking forward to Smash 4 just as much of the next hawk. Well, a lot more actually. This game's unveiling has permeated my very DREAMS (one of which involved a diseased kid holding up the Nintendo E3 turnstile resulting in me having to punch him in the face). 1) Takamaru, also known as that lame ninja swordsman dude from That One Game That Never Released Here™. Smash 4 has enough swordsmen. Sorry guy. 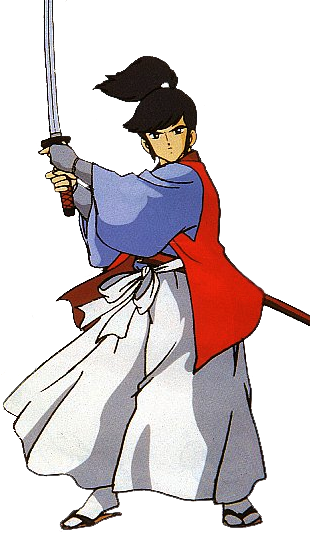 I understand Takamaru's in a Pit-like situation where a modern redesign and surge in relevance could resurrect him as a bonafide Nintendo character. That's all fine and dandy of course, but what would he actually do? I would normally admit that a modern Murasame game would likely rise from its decades-old ashes as something barely recognizable, yet fun and interesting to play ala Kid Icarus: Uprising. However, if its attraction in Nintendo Land is any indication for what the modern world has in store for it (a.k.a. throwing shuriken at dudes by stroking the gamepad for hours on end), then I think Nintendo should just let this property remain six feet under the cold, cold ground. 2) Geno, as in "Yes, people still actually care about Geno" Geno. Dude, your nose is on your head...or something. Super Mario RPG is home to some of the ugliest, most vile character designs in existence, and the above is right down there with the worst of them. Like your average Mario vs. Donkey Kong fan, Geno is just boring and unaesthetic. What on earth is with the obsession? 3) Pac-Man, that thing you forgot existed until now. 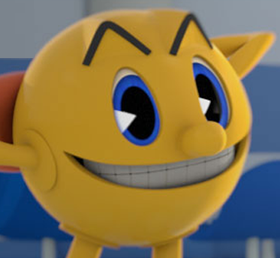 One of Pac-Man Sr.'s illegitimate crackbabies. 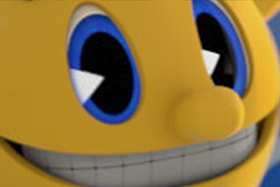 Now, because of Bandai Namco's heavy involvement and some other factors (Miyamoto working on a Pac-Man game, Pac-Man being in those Mario Kart arcade titles, etc. ), I don't think this last one is wanted as much as its expected. But still, the Pac's a world-renowned gaming icon -- it couldn't be too bad, right? ...may Sakurai bless my tender soul. Is Rawk the kind of dude you'd like to talk to, argue with, or plot the destruction of? Follow his account (RawkHawk2010) on Miiverse! 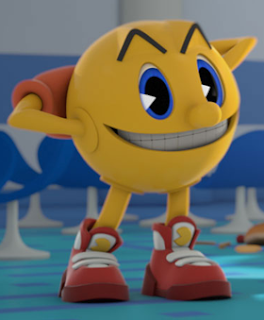 For more on why Pac-Man would be terrible, click here! Despite all our efforts, Pac-Man is in the game. He is also a terrible addition. Let's hope Takamaru stays away. I'm actually sure that if they don't put Mewtwo back in the freaking game, I wont be the only raging fan. Oh yeah, I definitely want Mewtwo to return. Well I dunno if you can say that "gameplay" is something that was "nerfed". You CAN say it was unbalanced, but so was Melee (pros divide characters between "playable" and "unplayable"). I'm crying now. Thank you RawkHawk. All I care about is that it's fun. Although this is coming from someone whose most vivid Melee memories involved playing as Pichu. Well, Jigglypuff's Rest certainly was, but Bowser's Koopa Klaw was certainly buffed, as was Kirby's Dair (it spiked again! ).